I am grateful to have you by my side. Being with you is priceless. 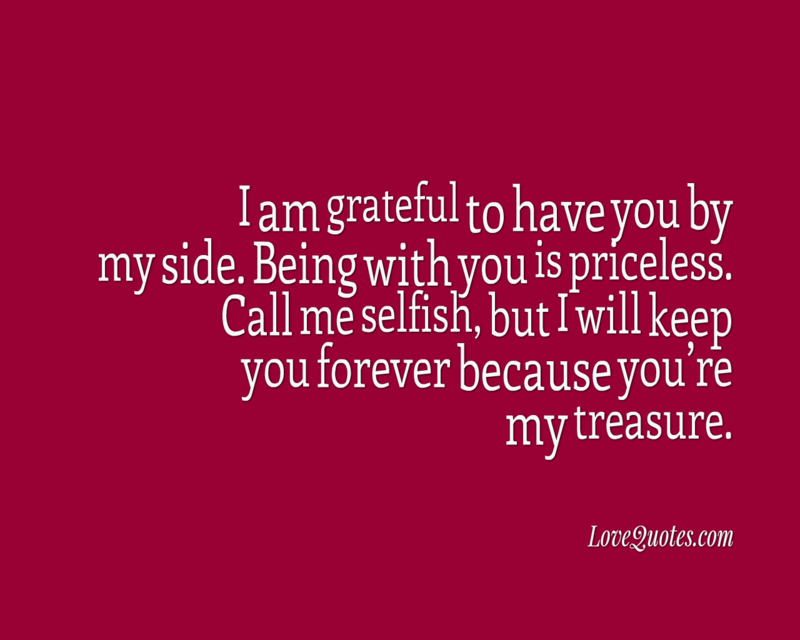 Call me selfish, but I will keep you forever because you’re my treasure.